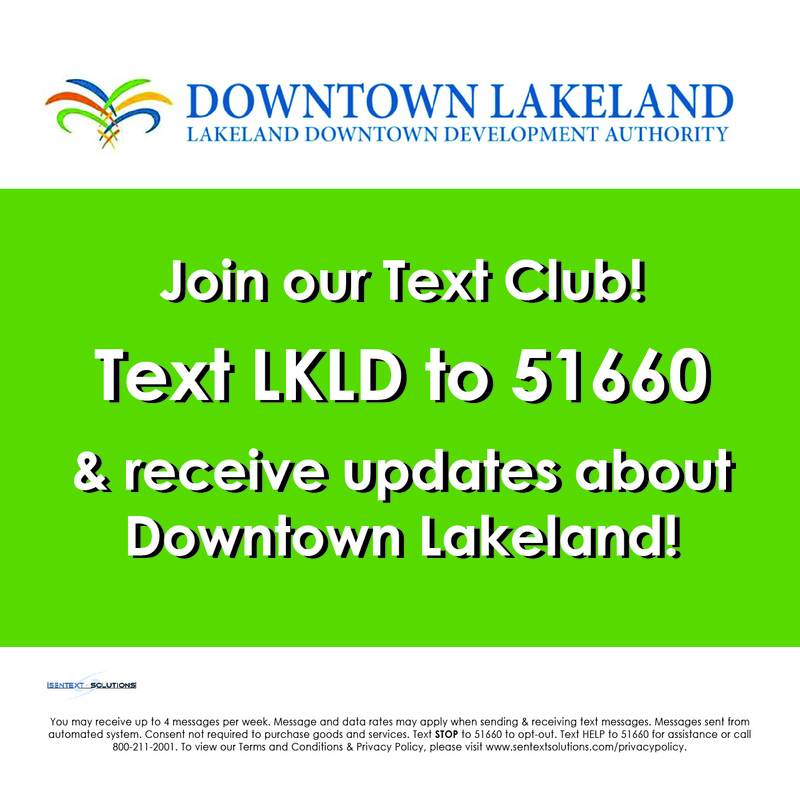 Did you hear that there’s a new business coming to Downtown Lakeland this Fall? It’s a restaurant called Pita Pit, owned by Joey and Michelle Lindsey. Michelle Lindsey described it as a cross between a Chipotle and a Subway. You can pick your own ingredients to create the perfect sandwich–you choose the meat, veggies, sides, and sauces, and it will be cooked, stuffed, steamed, and toasted right in front of you as you desire. Any sandwich can be turned into a salad by “forking” it (a.k.a. taking away the bread and adding the greens). There are also various vegetarian options, such as falafel, hummus, and spicy black beans. The prices are reasonable, and there will be small or large-sized portions, as well as kid-sized portions (and you don’t have to be 12 or under to get a kids’ meal). They will be offering delivery and catering options as well! While Pita Pit is a national franchise, the Lindseys are Lakelanders who have spent their careers working for Publix. Joey, who will be managing the family’s new restaurant, just retired after 32 years, while Michelle plans to continue her 27-year career at the Publix Credit Union. The couple have been married for 29 years and have a 17-year-old son. The entrepreneurial couple aren’t just new business owners, however– they are also new Downtown property owners. They bought the building! 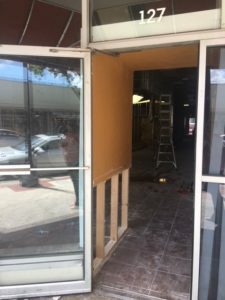 Their new business will be opening up in the location previously occupied by La Carreta next to MIDFLORIDA Credit Union on South Kentucky Avenue. What was previously one space, however, will be divided into two. 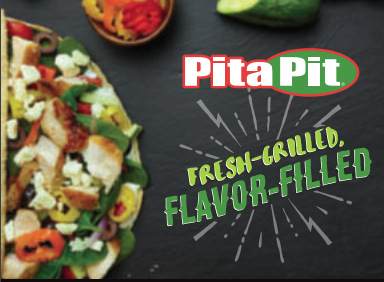 Pita Pit will be opening at 127 S. Kentucky, and 125 S. Kentucky will be available for lease. If you walk past the space right now, you can see all the exciting new changes that are happening to the building. 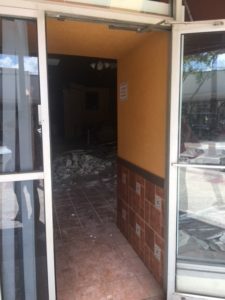 They are done with demolition and are beginning build-out at both addresses. Their goal is to be finished by the end of October and open by the beginning of November. We can’t wait!